Hello, here is Sonja from Brunswick, Germany. I work for an IT division in public service. Avocationally I try to get my master degree in Business Informatics. I don’t even know how I find time to play boardgames and write about my experiences besides my work and studies. But somehow it works. 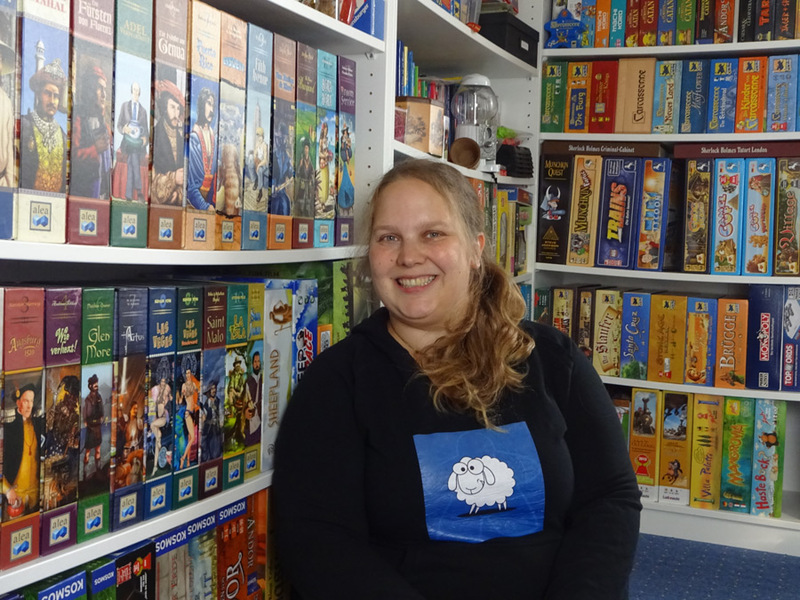 Since January 2015 you can read my opinions and thoughts about boardgames in German on www.Brettspielpoesie.de.The name of my blog is the German translation of “boardgame poetry”. I was always interested in poetry; I love writing and playing boardgames. So it has been simply a matter of time to start my own blog. 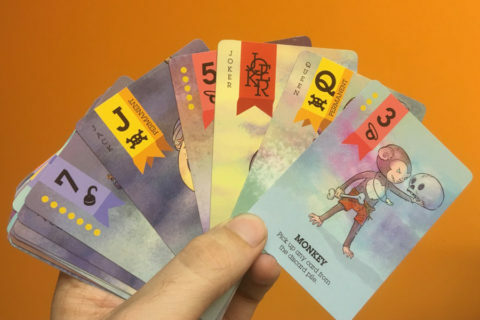 You can also find me on Instagram, Twitter, Facebook and BGG. After the childhood I lost the interest in boardgames for some time. One day my brother introduced boardgames to family celebrations. We played Dominion and Munchkin several times and I began my own tiny collection with those two and Kingdom Builder . But I had hardly friends who were interested in playing boardgames. Then I met my boyfriend who was in a same situation. He loved especially Carcassonne and we began to play more often and went to Spiel in Essen in 2014. That day the passion started. Three months later I began blogging and now I am writing this text for this blog. It is amazing! 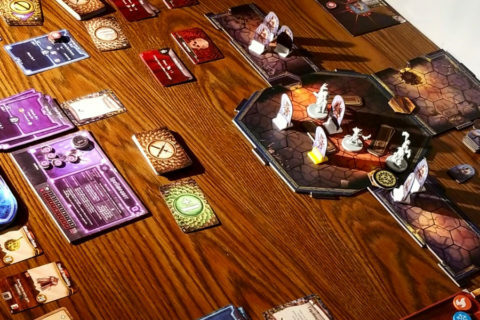 After buying many boardgames we decided to convince our friends of playing with us and we started some regular board game evenings respectively joined local board game groups. We have regular events on Tuesdays and every second Friday. In addition to this we meet different friends for playing boardgames nearly every weekend or we just play together at home as a pair when there is spare time. It is interesting that some of our friends just needed to be nudged to play more boardgames and now love it, too. Our collection was growing fast within the first year. We bought some Pax wardrobes from Ikea when they were on sale. Certainly we recognized soon that this wasn’t the best idea. 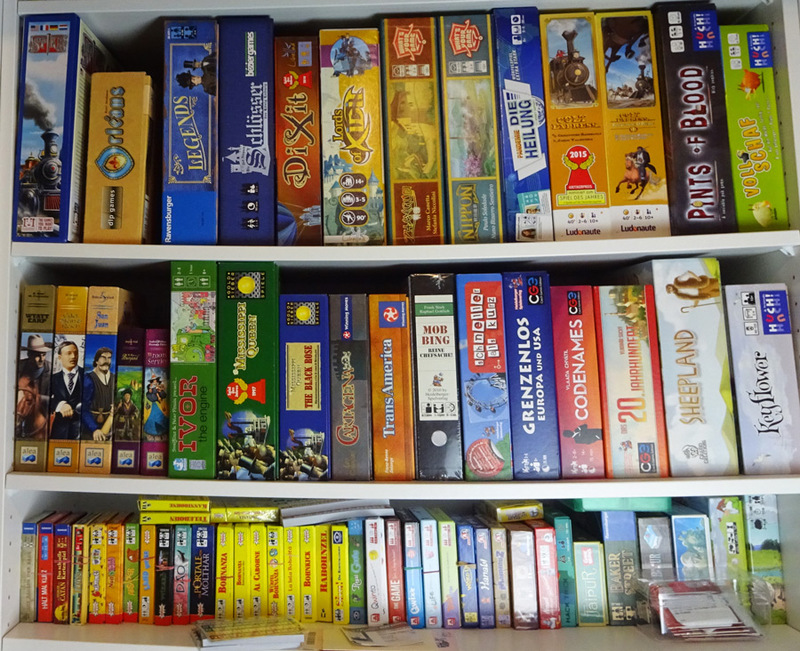 Be careful: Wardrobes are made for light clothes, not for boardgames! As you can see in the pictures, the boards are sagging. 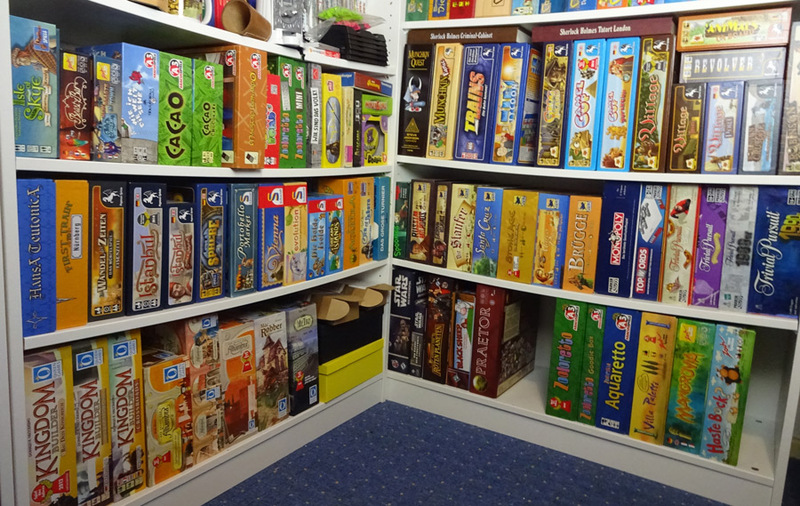 So we changed over to Kallax from Ikea for new acquisitions, which are much better for games. But we hope that the Paxes will survive some more years before we replace them. 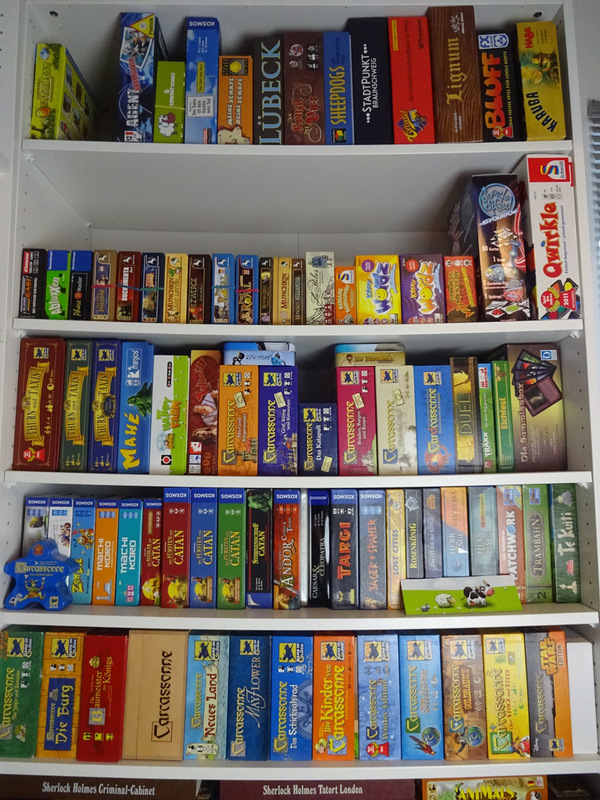 Due to the reason that we haven’t got enough space für alle the games, we had to sort some games with unusal format to the top of a shelf below the ceiling. 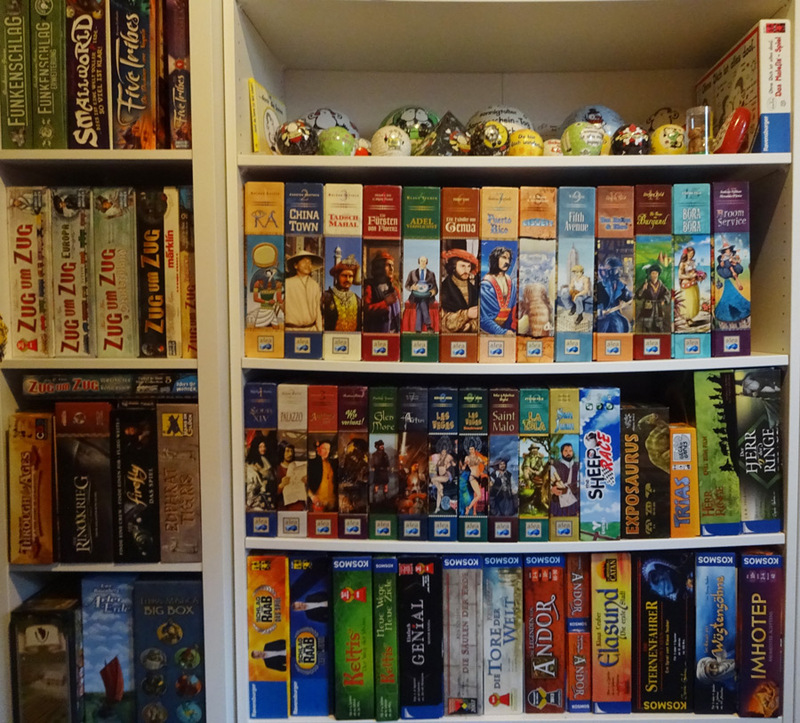 The games within the shelves are sorted by height and then by publisher. 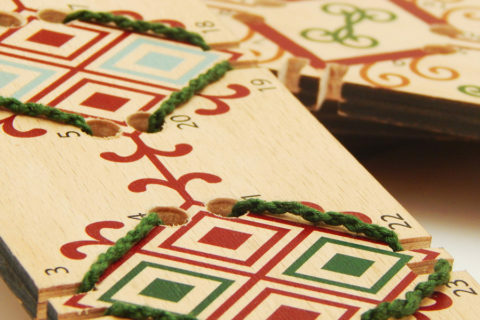 We own a great range of different types of games: Strategic games, two player games, party games, euros, everything that might be interesting. 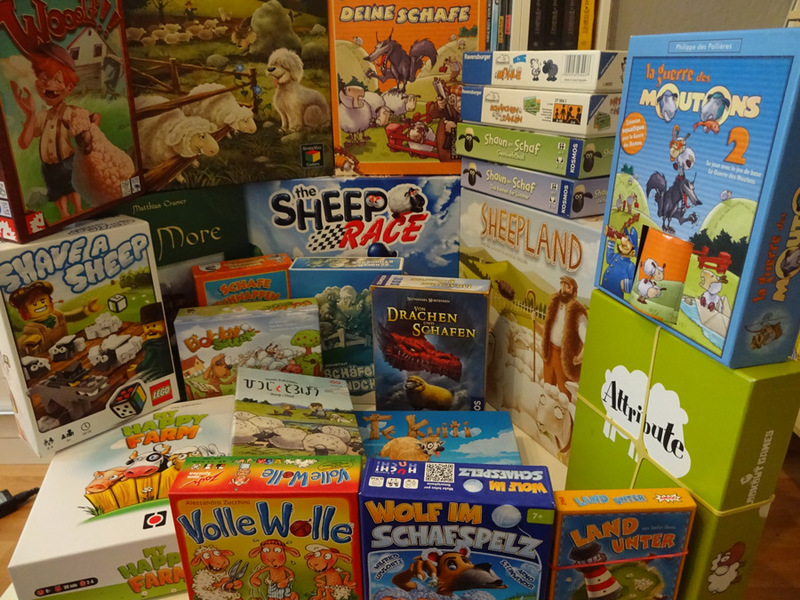 We try to get every game which has been honored with Spiel des Jahres, there are just a few older ones missing. And if we like a game we try to get all available expansions to it. Like you can divine from my profile pictures I love sheep. I cannot really explain the reason for this. They are cute and I love them! And there are many boardgames concerning sheep. I cannot resist buying most of them, although not every of these games is quite good but really cute. We have some treasures as well in our collection. 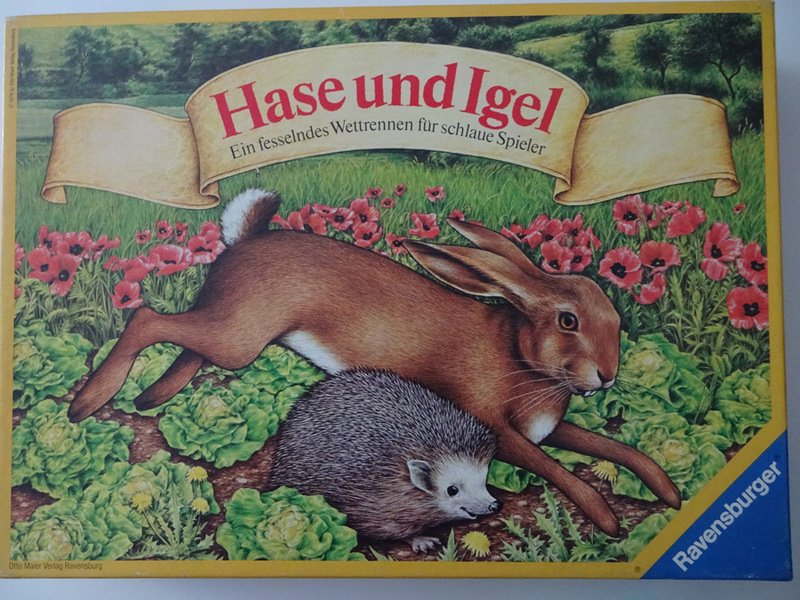 An old copy of Hare and Tortoise before it has been honored as Spiel des Jahres. 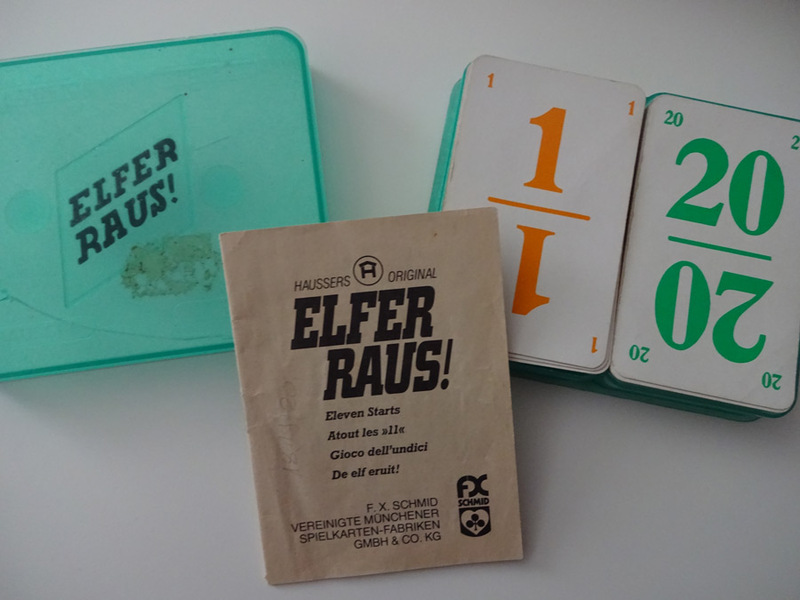 And last but not least a really old copy of the German card game Elfer Raus from 1960 which I got from my grandmother. It’s great to see a full shelf that way. Greetings from Brazil.